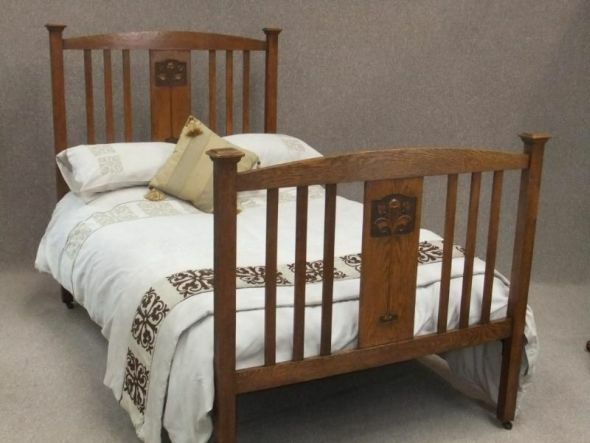 A fine example of an English circa 1900 oak three quarter Arts and crafts bed. 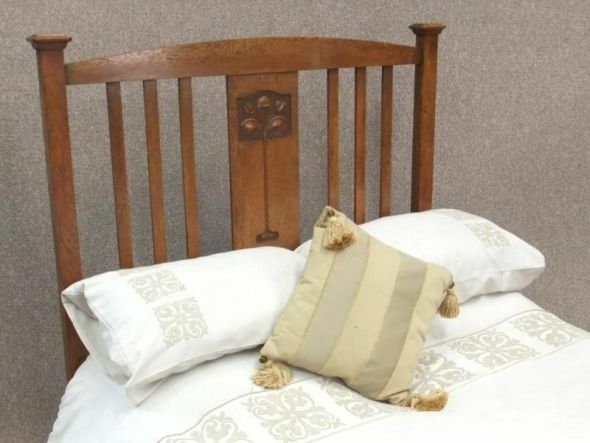 The bed has a simple slatted headboard and footboard with a carved centre design, and comes complete with robust side irons. 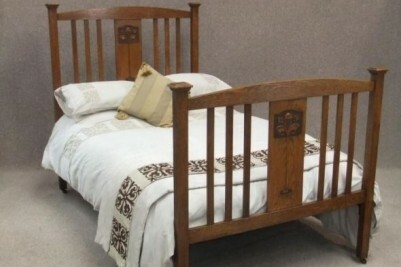 These support one of our newly made pine bed bases, so all that is needed is a standard three quarter mattress. 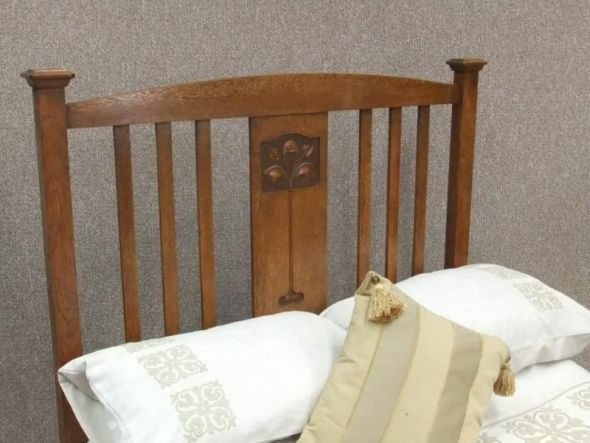 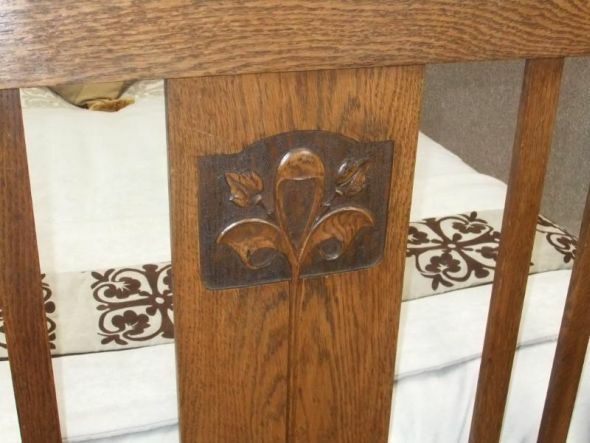 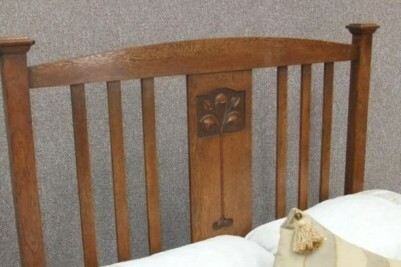 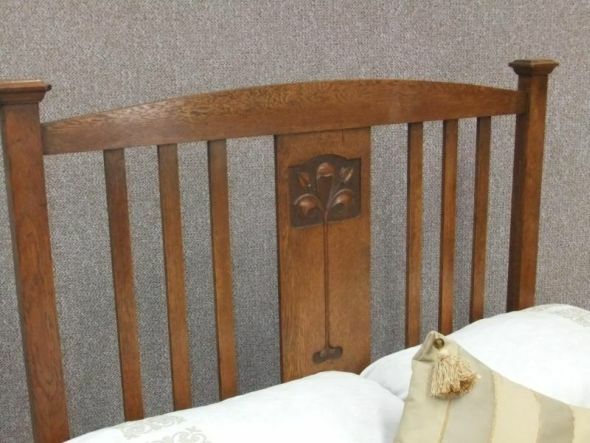 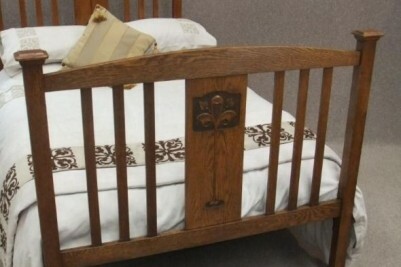 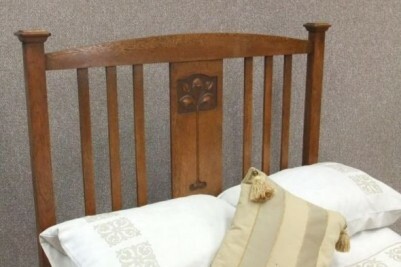 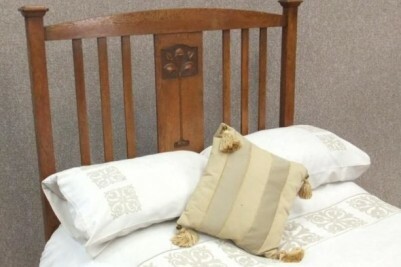 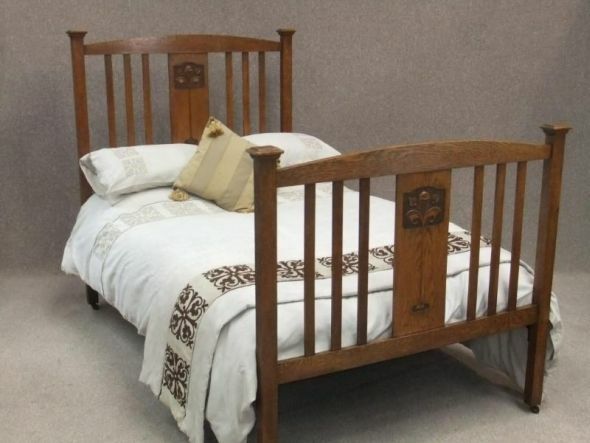 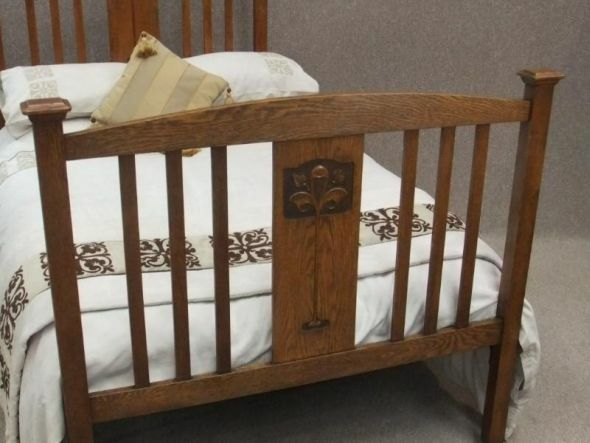 This arts and crafts bed is in superb condition for its age with very little wear and tear. 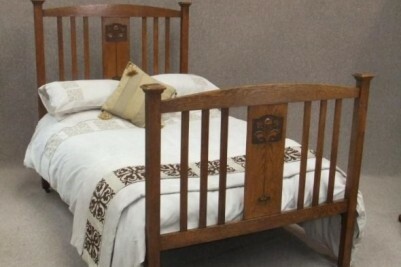 This bed will complement any period bedroom setting in an arts and crafts style, or any period guest room.